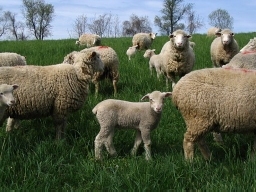 ARCHER FARMS, INC. is a swine and sheep producer, specializing in the supply and delivery of high quality animals directly to research facilities throughout the East Coast. Our customers include hospitals, universities and pharmaceutical companies from Boston to Florida. We have been serving the research industry since 1985, and our business has grown steadily. ARCHER FARMS, INC. is proud to announce that we use a single-source and high health herd that consists of 600 Yorkshire females. ARCHER FARMS, INC. offers customers the best possible, consistent quality animals. Our operation is designed and managed with the end-user foremost in mind, and therefore, our animals are healthier (and better acclimated to human contact) than animals produced by other popular methods for different end-use. We have climate-controlled vehicles that allow us to expand our service area and keep the animals (while in transit) in the same good condition as they are in when they leave the facility.